Summer is on its way! 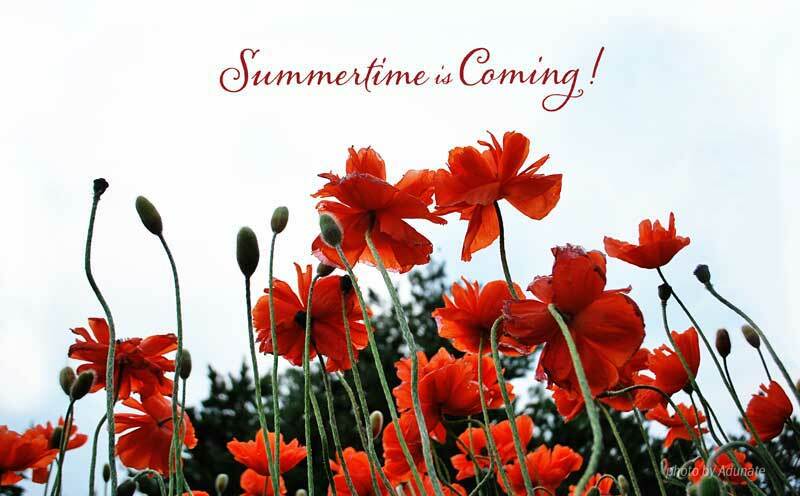 My poppies are blowing in the wind and temps are rising! I find my thoughts filled with the potpourri of the season—gardens, fresh food, new recipes, gatherings with friends and family, and a list of accomplishments I hope to achieve. This week my links are equally as random! Doesn’t this look interesting? HomeDine. What a fun way to meet new food friends! I love reading how other freelancers manage their days. After this make-your-own Bloody Mary bar, I’m craving the brunch-y beverage. How about a Bloody Mary with ramps and beautiful photos? I love poster art. Here are city posters, done by Anderson Design Group. Beautiful! Can color determine your abilities? Looks like an interesting read. Tomorrow I’m meeting my daughter for a work day at Barrique’s Coffeeshop. I think they should have photos of each location.